Follow the A30 to Redruth, then follow signs to Helston. When you get to Helston follow signs to Penzance (this will bring you to the bottom of Helston by the skate park and Boating Lake). Take the B3304 Porthleven road at the bottom of Helston by the Boating Lake. 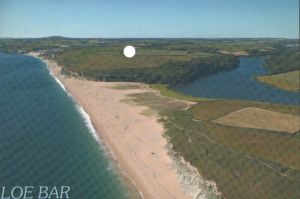 Continue towards Porthleven and turn left towards Loe Bar. Immediately on your left you will see a National Trust Car Park and a white thatched cottage, follow the farm lane straight up to the Campsite. 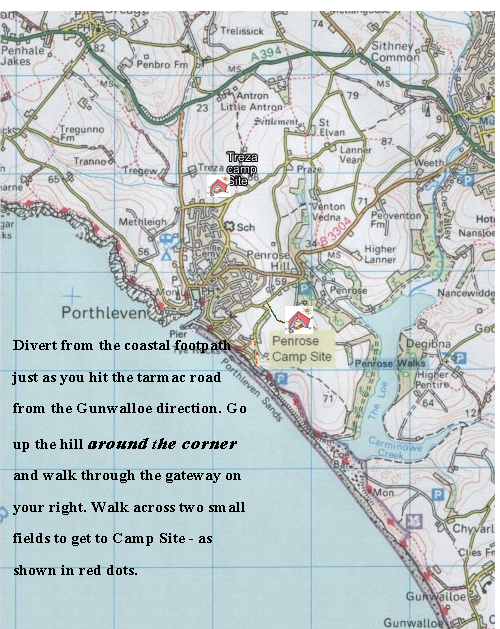 Penrose Camp Site is situated at Higher Penrose Farm. The photo below shows an aerial view and the location of the site.